Linda @ “CraftaholicsAnonymous” has this perfect sweater up-cycled project for us. 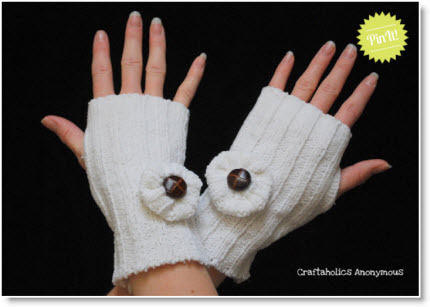 These darling “sweater wrist warmers” can be made-up in no time and she also has a tutorial for the sweater flowers here. Thanks Linda for the cozy tutorials.